How much to feed my Aquarium Fish? Cloudy water can be the result from overfeeding. 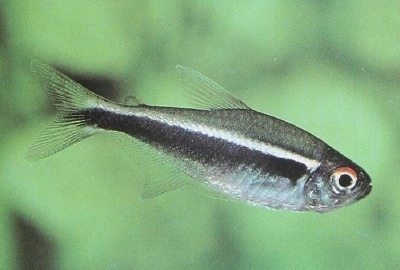 Freshwater fish in the wild will happily eat several times a day if food is plentiful, however if food is scarce the same fish will go days without food. So exactly how much do we feed fish in an aquarium ? It is important to understand that in the wild fish are opportunistic feeders and that is why when in an aquarium if you offer them food they generally will eat the lot! It is also important to understand that these days many commercial foods offered in the local aquarium shop are of a much higher quality than what was available 15-20 years ago. These foods are higher in nutrients meaning the fish probably will not require as much quantity. e.g. Spectrum Foods. Your filter’s impeller may clog when all the uneaten flake food gets sucked up the intake pipe of your filter. Your filters sponge or cartridge may clog limiting the filters performance. 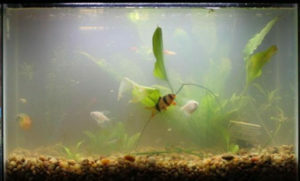 An increase in algae growth may occur inside your aquarium. Your fish might have a swollen stomach due to constipation. Your fish may have lost its buoyancy and cannot stay upright because it is constipated. Your filter may be getting clogged up all the time. Your fish may be getting red-pinky lesions on its body due to bacterial infections. Your fish may be getting fin rot due to bacterial infections. Your fish may be dieing due to a high reading of ammonia or nitrate in the water. 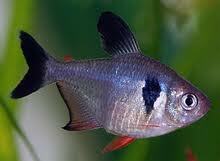 So in essence most common problems with the aquarium can be associated to overfeeding your fish in an aquarium. Smaller feedings are a far better option. Try feeding your fish twice to three times a day – but each time you feed them ensure that ALL the food has been eaten in around 30 seconds. It is a very small amount. So in conclusion, for best results be disciplined and only offer very small feedings (twice or three times a day) that will be totally consumed within 30 seconds or so. Ensure that you buy quality food from your local aquarium shop and not the supermarket. And remember that water changes are directly related to how much food you put in.